Native Las Vegan Karen Alexander has always lived in suburbia. 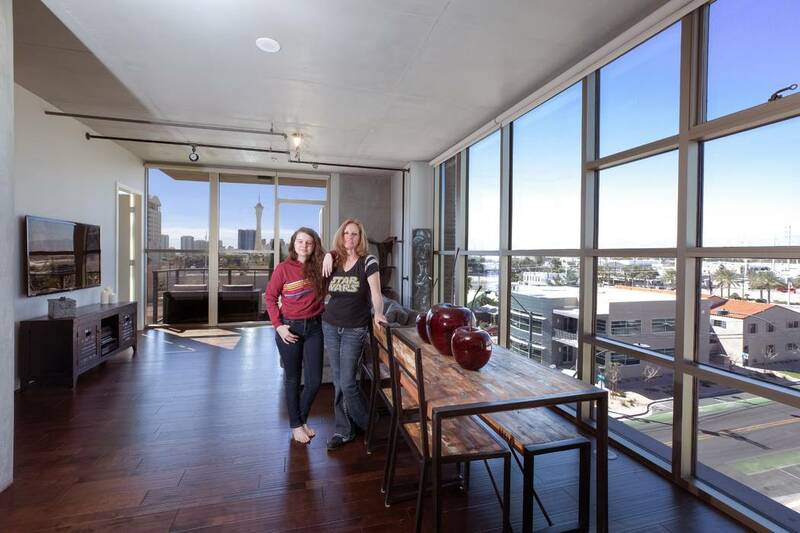 That is, until three months ago, when she and her husband, Matt, locked in their dream home at Juhl, a 344–residence, loft-style community known for its flexible floor plans and industrial chic design aesthetic in downtown Las Vegas. The Alexanders stumbled upon Juhl a few months ago, and to the couple’s delight, it was everything they wanted in a new home and lifestyle for them and their 20-year-old daughter, Rebecca. Juhl boasts beautiful industrial design, loft-style living, a built-in social network through its lifestyle programming, freeway access and walkability to dining, entertainment and shopping. “As soon as we walked in, I felt it. I knew this was it. The next day, we put our home on the market, and it sold within 24 hours. The application and buying process was seamless, and within a month, we had signed, sealed and delivered the paperwork for our dream home,” Karen Alexander said. The Alexander family was initially hesitant about going from such a large home to a two-bedroom, high-rise condominium, but they were pleasantly surprised to discover everything they needed fit perfectly, with plenty of room for their two cats. “We had a pool in our previous home, as well as an elliptical that Karen used frequently, so having the resort-inspired pool and state-of-the-art fitness center within the Juhl community has been extremely convenient, especially since we no longer have to spend our weekends maintaining it all,” Matt Alexander said.